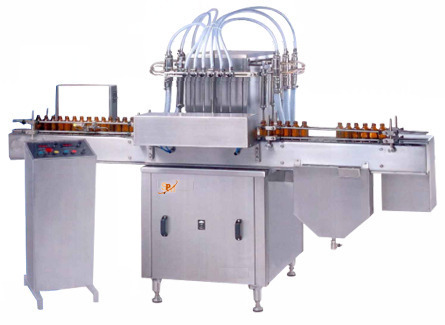 Fostered with a squad of hard-working professionals, we are able to provide a flawless assortment of Liquid Filling Machine within the committed time frame. Established in the year 2007, MD Packaging is considered amongst the foremost Manufacturer and Service Provider of an unmatched quality gamut of Belt Conveyor, Piston Filler Machine, FFS Machine, Liquid Filling Machine, AMC Services and many more. All our products are widely acclaimed and demanded by the customers for their abrasion resistance, easy maintenance, elevated durability, rugged construction, longer working life and seamless finish. We manufacture all our products using excellent quality raw material, which is procured from the genuine vendors of the market. All our products are available in diverse designs, models, sizes and shapes at competitive prices to cater the demands and needs of patrons.